NGO "officers" are public servants in India under Lokpal Act, warns report marked "for private circulation"
A new report by AccountAid, an organization in the job of closely watching developments around non-government organizations (NGOs) in India, has caused a flutter among top activists of the country. It has “discovered” that the Lokpal Act “covers” most of the NGOs, saying that their officers are "public servants". AccountAid, after covering different topics related to NGO regulation or accounting, posts or emails these to about 2,000 persons in NGOs, agencies and audit firms for further discussions. The report, which is marked “for private circulation”, says that these officers “must declare their wealth annually”, like any other public servants need to, and the Lokpal can “look into” complaints received against them. The Act was passed in 2013, when the UPA was in power. “In fact, it doesn’t even matter if the NGO has received foreign donation without FCRA permission. The Lokpal Act will still be applicable”, the report says, adding, it would be applicable to all types of societies, “registered or unregistered”, and “charitable, literary or scientific”. 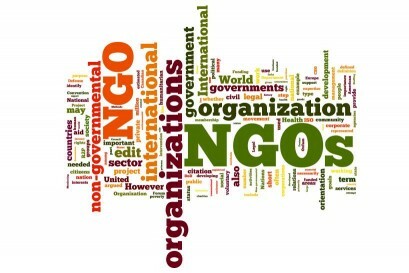 For NGOs, the report underlines, ‘officers’ of all categories are covered. “Many NGOs have an accounts officer” and he/she would be “treated as a public servant” as the Lokpal Act's provision on 'officer' could be “interpreted as indicating a group of people who manage or control the organization”, it says.